Turkey’s broadcasting watchdog suspended a popular talk radio program and slapped one of its highest fines on the station for “insulting” Azerbaijan’s president and first lady after the host joked about her appointment as the country’s vice president, Turkish media reported. 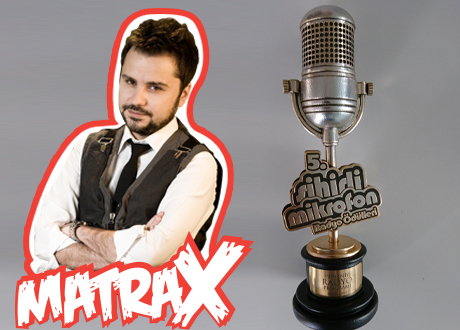 The Radio and Television Supreme Council (RTÜK), which regulates television and radio stations, ordered station Show Radyo to turn over five percent of is commercial revenue and halt five episodes of the show Matrax, the state-run Anadolu Agency said. In a late night broadcast on January 16, Matrax host Zeki Kayahan Coşkun teased Azerbaijan President Ilham Aliyev for “one of the world’s most comical approaches” for naming Mehriban Aliyeva his deputy last year and discussed corruption and abuse charges against the family. Previously, Azerbaijan canceled broadcasts by Turkey’s Fox TV affiliate after its news anchor in 2017 aired a segment critical of Aliyeva’s appointment. Turkey has cooperated with Azeri investigations in the past. Authorities opened a criminal investigation last year into four prominent intellectuals after they visited Nagorno Karabakh, Azeri territory under Armenian control since a 1994 war. Azeri authorities are also probing the men. Show Radyo is not available in Azerbaijan. Should the station broadcast any program similar in nature within the next year, it will face a maximum 10-day suspension, Anadolu said, citing the RTÜK ruling. Further infractions could result in a cancelation of the radio station’s license. Coşkun also listed allegations of corruption, election-rigging and rights abuses that have been levied against Aliyev, who was once named the world’s most corrupt leader by an anti-crime group. Coşkun sarcastically described the Caspian Sea state’s nepotistic form of rule as an “inspiration” for others. Aliyev hailed Aliyeva as “very professional, clever, experienced, principled and benevolent” in 2017 after making her vice president in a role created by a constitutional referendum the previous year. In her role, she oversees the cabinet and is authorized to sign international agreements. Supporters say the glamorous Aliyeva, a patron of the arts and the deputy chairwoman of the ruling party, is a role model for Muslim women. She hails from one of Azerbaijan’s wealthiest and most influential families, the Pashayevs. Since independence from the Soviet Union in 1991, Azerbaijan has embraced hereditary politics. Aliyev succeeded his father, Heydar Aliyev, in 2003. Some observers have speculated that the couple may now be grooming their 20-year-old son to run for politics after the 2016 referendum also scrapped the age requirement for parliament and the presidency.